On Friday, two Jacksonville criminal lawyers will argue over a motion revoking a defendant’s bond. Motions to revoke bond are filed often in Duval County and all over the state of Florida. If you bond out of jail, you must comply with the terms of your release. You may have special conditions for your bond. You may be assigned to the pretrial services, so you must report to an officer as if you were on probation in Jacksonville. The judge may place conditions on your probation that prohibit the consumption of alcohol. This occurs often in Jacksonville DUI cases. In a Jacksonville domestic violence case, the judge will usually prohibit contact with the alleged victim. If you are arrested for a new law violation while you are out of custody on bond, this may cause the state attorney’s office to file a motion to revoke your bond. Remain under supervision of pretrial services program (PSP) or its designated service provider, the Community Transitions Center (CTC) of the Jacksonville Sheriff’s Office, at all times who will monitor her compliance. Subject to electronic monitoring through the CTC at all times. Remain on home detention until completion of her case and not allowed to leave her home except for court appearances, medical emergencies, and to satisfy any requirements of PSP or the CTC. Report for all required court appearances and all required appointments with the PSP or its designated service provider. Cannot change her residence without getting it approved by the PSP or its designated service provider. Cannot have contact with Rico Gray Sr. nor communicate by any means with parties involved in the original case. Has to abide by all court orders in the divorce proceedings involving Rico Gray Sr., including all orders that pertain to child custody. 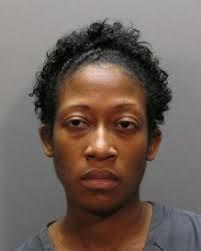 Cannot possess firearms and there can’t be any firearms in her home at any time during her pretrial release. Cannot drink alcohol or take drugs that aren’t prescribed by a doctor. Must abide by all rules and regulations for the PSP and the CTC, including random drug testing. Subject to all reporting requirements for the CTC and PSP. Subject to home searches without a warrant by CTC officers, or any JSO officer conducting a search at the direction of CTC personnel, to ensure compliance with her pretrial release conditions. It appears that the state attorney’s office is alleging that Alexander violated the third special condition listed above. If Alexander did in fact violate a condition of her release, Judge Daniel may take her into custody and hold her without a bond while her case is pending. You do not want to violate a condition of your bond, but if you do, talk to your Jacksonville criminal attorney as soon as possible.